This is a semi-transparent parchment suitable for tracing or sketching with pencil or pen. 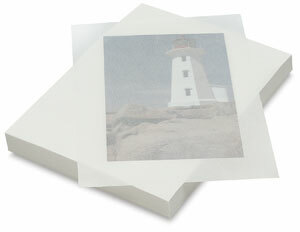 The 500-sheet ream of 9" x 12" sheets is convenient for group activities. Recyclable. 25 lb (40 gsm).